Join us this December for a rejuvenating yoga, mantra and massage retreat in the beautiful jungle of Goa, India! 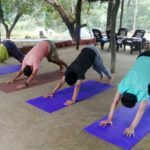 At the Plantation we will make a journey inwards using gentle yoga practices, mantra singing and the healing practice of Thai Yoga Massage. 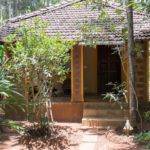 This retreat is a gift for your senses, as we will explore the spices and plants of the plantation as well as the beautiful natural surroundings. A relaxed, calming, small-scale retreat with lots of free time to connect with yourself and each other in a loving and natural space of being. Yoga, mantra and massage practices will be guided from the heart by Jeska Onderwater. Limited spots available at introductory prices. Write in at dudhsagarplantation@gmail.com for more details and bookings. 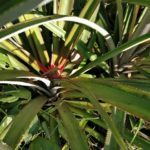 Many other activities such as a cooking class with fresh ingredients from the fields, a spice tour at the plantation and the possibility to get involved with organic farming on the property. Family Cottage with open to the sky bathroom (4 single beds) Euro 220 or Rs 16,900 pp in quad occupancy, can be booked individually. Jeska guides yoga classes and singing circles from and for the heart. In her classes and with her music she facilitates a process of connecting with your intuition through yoga, mantra, meditation, music and writing. Her workshops and singing circles always contain a mixture of different disciplines. She believes that creativity and spirituality are complementary and encourages others to explore their unique combination of the two. Jeska’s yoga classes connect you with your inner voice and help you find a place of stillness in movement. She will guide active vinyasa morning classes and occasional calming yin yoga classes in the evening. 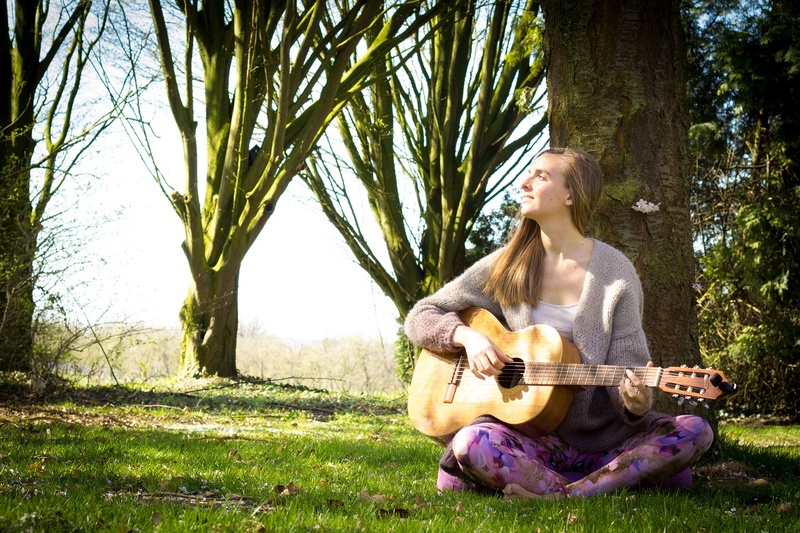 She often finishes her classes with a heart-opening musical surprise: www.jeskaonderwater.com.